After the commercial failure of his first directorial film Aag, the legendary filmmaker acted in and directed Barsaat that was shot in RK Studios. The film and his pairing with Nargis became such a box-office hit that it prompted him to use Barsaat’s poster image as RK films’ logo. The poster had Kapoor holding a violin in one hand, and Nargis in another. The legendary pose is also carved out at the entrance of the studio that for more than 70 years, has witnessed many iconic moments that have been etched in the history of Indian cinema. From Awaara to Ram Teri Ganga Maili, Raj Kapoor’s last film, the hallowed hallways of the studio have been privy to many memorable events. But a massive fire at the property last year brought an end to an era. Having endured the legacy for over seven decades, the Kapoors’ have collectively decided to sell the studio sprawling over two-acres. “Yes, we have taken the decision to sell RK Studio. 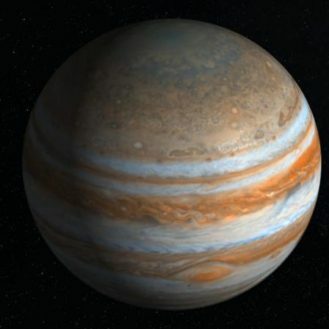 It is already up for sale. After the fire that broke at the studio, it was not economically viable to build the studio again,” Randhir Kapoor had told the media. The fire not only gutted one of the largest shooting floors in Asia, but also the irrecoverable memorabilia such as the mask that Raj Kapoor wore in Mera Naam Joker, costume and jewellery of RK’s leading ladies Nargis and Vyajayanthimala, and the grand piano from Awara, Sangam and Bobby. “A studio can be built again but the loss of the irreplaceable memorabilia and costumes of all RK Films, is tragic for all. The fire took it away (sic),” an emotional Rishi Kapoor had tweeted expressing his sorrow after the incident. A friend first and filmmaker later, Raj Kapoor was an epitome of humanity, say the ones who had the opportunity of working with him. A humble, gentle and soft-spoken person, the filmmaker had the utmost respect for his technicians and treated everyone equally. Yesteryear actress Padmini Kolhapure was nine when she first worked with Raj Kapoor as a child artist in Satyam Shivam Sundaram. The actress calls RK Studios her second home and herself a complete product of the showman. “The premieres of RK films were much awaited. For the premiere of Satyam Shivam Sundaram in Delhi, he got me a tailor-made white lehenga by designer Bhanu Athaiya, as white was his favourite colour and he wanted everyone around him to dress in white. But I lost the lehenga on my way back home,” recalls Padmini. Though he came across as a taskmaster, the actress reveals that he adored his actors and literally put them on a pedestal. “He made them feel comfortable and special. When I was shooting for Prem Rog in Mysore and Bangalore, every day he would send a huge basket of gajras just to make me feel special. He made every actress feel like a queen,” she shares with a smile. 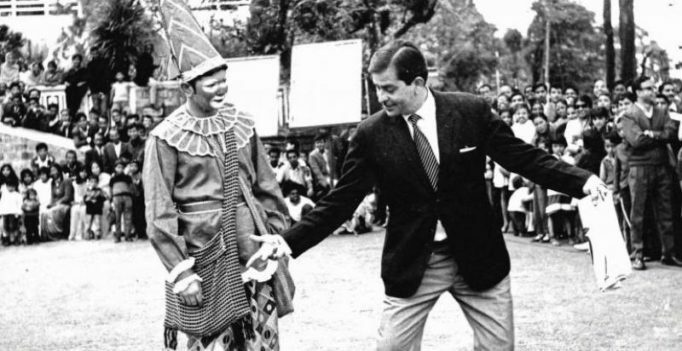 From an actor to a producer and director, Raj Kapoor juggled many roles and even played a make-up artist. Vidyadhar D Kamat, a still photographer, who worked with the showman on Satyam Shivam Sundaram and Ram Teri Ganga Maili remembers how the director was particular about each shot. “He used to sit behind the viewfinder and guide me to see my contents in the frame carefully before locking it,” says Vidyadhar whose father Damodar Kamat shot portfolios of Raj Kapoor, Nargis, Madhubala, and Dharmendra among others. 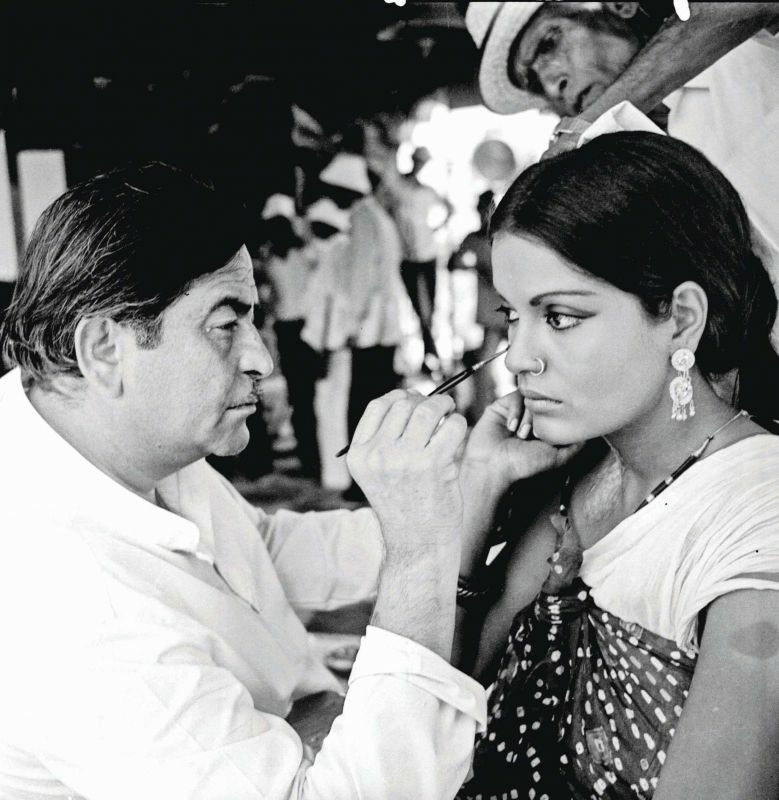 Recalling an incident from Satyam Shivam Sundaram, the photographer shares how Raj Kapoor even enacted a scene for Zeenat Aman. “He walked up to her and showed her how to play coy and even did her face makeup,” smiles Vidyadhar. The photographer cites him as a man, way ahead of his times having made movies like Kal Aaj Aur Kal, Bobby or Sangam that depicted reality, criticised the society and portrayed the emotion of true love. “He had a great vision of sketching his scenes with precision. In Sangam, whenever Raj Kapoor, Rajendra and Vyjayanthimala appeared together in a frame they stood in a triangle, interpreting the love triangle between the characters,” he says remembering how he called him ‘betaji’. “I have never seen him shouting or scolding anyone on the sets, he even respected the spot boy,” he adds. The photographer’s face lights up, as he recalls Raj Kapoor’s birthday feasts that would be relished by the whole unit like a family. 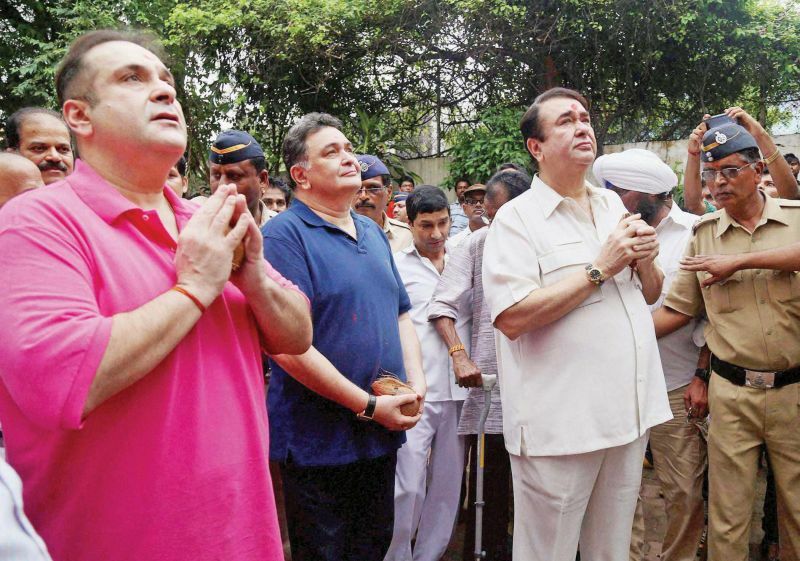 Kapoor brothers during Ganpati at the studio. A floor above Raj Kapoor’s office at the studio was a preview theatre. And Vidyadhar reminisces how during the previews, the filmmaker would never sit on a chair. “I have rarely seen him sitting on a chair. He always sat on the floor, in front of the screen. He would often say ‘when I sit on the floor I am connected to my roots and I can feel how a common man would like my film’,” he reminisces. Noted stunt director Sham Kaushal who has worked in films such as Dangal and Bajirao Mastani and Padmaavat, remembers strolling outside the studios in 1979 and witnessing his first live shoot. “I was a salesman then and my office was right behind RK Studio. One day I saw a crowd going into the studio and followed them. A mahurat shot of some Vinod Khanna film was underway,” he chuckles. In those days, media wasn’t privy to such celebrations but Padmini recalls how industry insiders made sure they were at the party. “It was a comfortable and secure zone within the studio. Invitees were restricted, and it was immensely colourful. You name it and everyone was there,” she adds. Even the 20-day long celebration of Rishi and Neetu Kapoor’s wedding took place inside the studios and so did their wedding reception.